I seem to be looking at postmarks a lot lately, so here is a place to show any postmark/cancel that might be of interest. Today this stamp just happened to be lying on my desk. Seeing the dash in the cancel, I investigated further. 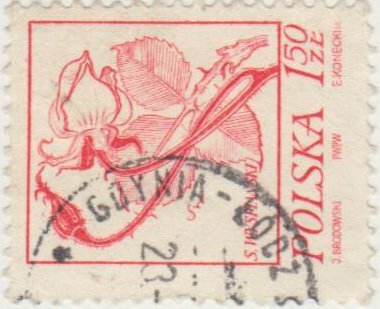 The stamp is Scott 2019 (1974), valued at 6 cents in my catalog, and part of a set showing flower paintings of Stanisław Wyspiański. The cancel reads "GDYNIA - LODZ" Gdynia is a port city about 200 miles from the city of Lodz, so I presume this to have been stamped on a railroad post office or on a station on that line. Unfortunately, someone had already soaked it, so any info on the other half of the cancel has been lost. Here's a postmark from Budva, Jugoslavia (then) and Montenegro (now). Budva is in an area called the Montenegrin Riviera and was described in Lonely Planet as "the poster child of Montenegrin tourism". Japanese postmarks present a lot of problems for me. Let's see if I get this one right. I'm thinking the stamp was cancelled on this date(March 27) in 1963(25+36=63) in the city of Suginami. Suginami translates roughly to avenue of cedars. The kanji characters at the top are similar, but not identical to the official kanji characters(杉並) for Suginami. Is a bit of leeway allowed in writing those characters? The bottom part is a mystery to me. It is indeed 杉並. It's just a difference in fonts, rather than difference in actual characters. The character at the bottom left means "before". Postmarks are not my area. A cancel specialist will have to chime in, but obviously it was postmarked in the morning. Possibly the "before" means it was received before the post office was open (i.e., put in the mail dropbox overnight). Hopefully Philatarium or another Stamp Bear can chime in. So it basically the equivalent of AM and PM. Your stamp was postmarked between 8-12 in the morning. Here is a Scott 191 pair cancelled on March 28, 1909 in Goiana, Pernambuco, Brazil. Note, the city spelling has changed over the years. I just pulled out a japan stamp with this character, 後 at the bottom, also meaning after. Yes, that is actually the same word as 后. The latter, believe it or not, is the simplified script version. If you could post a pic of that postmark with the traditional script, I'd appreciate it! Here is the pic. Looks like November 25, 1957 with only a partial of the town and the after kanji a bit smeared. OK, I see it. Thank you! Flaming out again trying to decipher Japanese postmarks. This one has a dot in the middle, giving me hope that it might be a TPO of some sort. Butterflies, I don't believe I've seen one like this before. I think it's the "big something -- 3rd something else", reading right to left. So that sounds like either military or governmental, as opposed to a town name. I've just now asked on a specialist board, and will let you know what I hear back. Andrew himself beat me to it! Great! I do not ever recall seeing the kanji for that town name before. It's gotten to be so long since I've worked in Japanese, and I'm getting old enough to not remember what I went into a room for, so I really should not even comment on these anymore. That's actually the first time I've ever seen it. Please don't hesitate to chime in, Dave. While my Mom can read kanji, I can't. I'm just guessing at it if it looks enough like a simple Chinese character, which in this case, it did. The "三鄉" should mean 3rd district (or whatever the proper name for "district" they used). I started having that problem more than 20 years ago! I finally beat someone to it. I finally learned this trick, where I go back to where I started, and then I'll remember why I went to that room. When do you know you're really getting old? When you use that trick to remember, then head back to that room, and then once again forget why you went there! I would still like confirmation on the left 2 characters -- especially the proper translation. So please update us if you get a reply. I hate love hate/love getting out the primary sources. 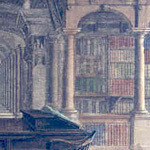 The books, a good lamp, and my reading glasses all have to be in the same place (they never are! ), and then to schlep them all to a computer. Using my specialized reference book on Japanese names, 三鄉 does appear as a place name, and only as a place name (not also as a family name, as many proper kanji often are). Pronounced "sangō". I didn't see anything relevant about it (i.e., near Oita) when I googled it, but that could be just me. 鄉, in my regular kanji general reference book (which does not list compounds with proper or place names), this character means "village, place, native place". Often pronounced as "kyō" or "gō". As a simple example, it's used in "kyōdo", 郷土, meaning "one's native place" or "local", as in "local history", "local color", etc. Last Edit: Apr 3, 2018 13:23:49 GMT -5 by Philatarium: Why do I do my best proofreading after I've hit "enter"?